Police took into custody a man they called suicidal from a residence on North Union Street at about 3 p.m. Friday. Police gather on the porch of 48 N. Union St. after taking a man who was threatening harm to himself into custody on Friday afternoon. Police keep an eye on the porch of 48 N. Union St. on Friday afternoon. 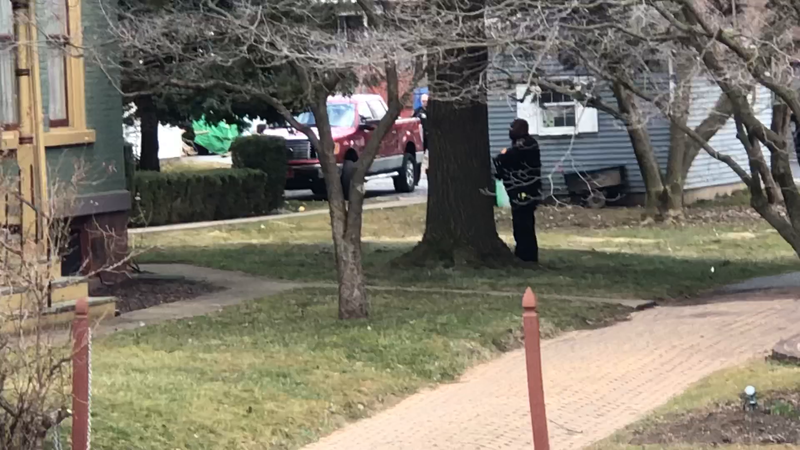 Up to 20 officers from multiple jurisdictions were on the scene for more than an hour, including Middletown, Lower Swatara and Penn State Harrisburg. Police could be seen crouched behind the stone wall in front of Alfred’s Victorian restaurant and behind a tree to the rear of the property at 48 N. Union St.
Interim Police Chief Dennis Morris told the Press & Journal that the man eventually gave himself up. He was handcuffed on the front porch of the residence. Police officers can be seen behind 48 N. Union St. on Friday afternoon. A man police called suicidal was inside. North Union was closed down for about an hour as police set a wide perimeter for the safety of residents and passersby during the incident. Vehicle and foot traffic was prohibited north of Brown Street on North Union Street or south of Water Street on North Union Street, and east of Catherine Street or west of Pine Street. Morris said that the man was only threatening harm to himself. He had called a crisis hotline, which led police to the residence. “He was taken into custody safely and is on his way to Hershey Med,” Morris said. There was at least one gun in the house, according to the chief. Onlookers gathered at the corner of Union and Emaus streets as the events unfolded. Roads reopened at about 3:15 p.m.